Data, Data Everywhere! Now what? Learn the essential elements for developing a healthcare reporting solution that works at every level. The end result — a blueprint for an effective, coordinated and automated system. Is Timely Reporting a Problem? Not Anymore! Rachel Tomkowicz, Manager of Business Applications at Berkshire Health Systems, shares her success story with Polaris enterprise reporting. 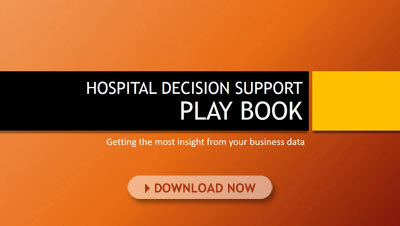 The Hospital Decision Support Play Book is full of key elements and practical advice to elevate your decision support performance. Utilize it today to get the most insight from your business and healthcare data.